A girder front end is an excellent choice for a custom bike build. Compared to springers or telescopic, girder front forks are both lighter and stronger, and relatively inexpensive to build or buy. This is what I chose when building my Hardtail Sportster. The girder front end is one of the earliest types of both bicycle and motorcycle front suspension. They were easy to manufacture and could be constructed in a very wide variety of shapes and sizes. Girder front ends get their name from the classic structural shape of the Girder Truss or Girder Beam, which was used in bridge and roof construction since the 14th century. It is an engineering fact that the triangle is one of the strongest structures for support. They can be made very strong but also be light in weight. Comprised of a pair of uprights attached to a triple clamp by linkages, the only movement in a girder front end takes place at the fork-trees. A four bar (parallel link) mechanism provides the method for mechanical movement. Adding a small shock between the top and bottom triple clamps reduces the effects of harmonics and vibration. Indian motorcycles of the 1930s and 40s used Girder front ends. They were sturdy enough to be used by the U.S. Army in the Sahara Desert during World War II. They held up under extreme heat, sand, dust, and primitive roads. 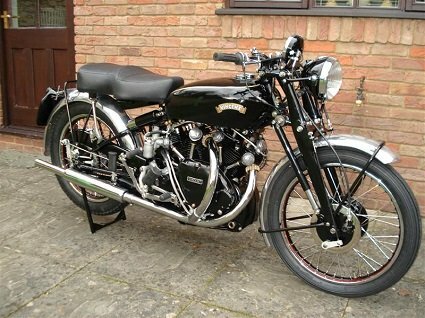 Built from 1948 to 1955, the Vincent Black Shadow was one of the last production motorcycles to use the girder front end. 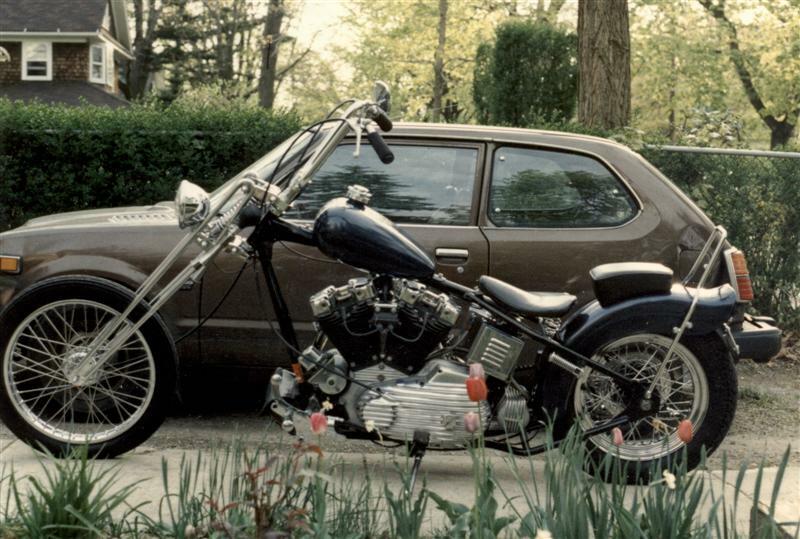 While other bike manufacturers were changing to hydraulic telescopic forks, Vincent Motorcycle Company brought girder forks to a new level, making them hydraulically dampened and using aircraft-quality alloy for maximum strength. In 1948, a Vincent Black Lightning (Black Shadow racer) with a "Girdraulic" front end set a new world record of 150.313 mph at Bonneville Salt Flats. The angle of front-end rake is formed between the frame's neck and a vertical line. Rake is measured in degrees, which means the larger the angle, the further out the front wheel will be. Front-end trail is the distance between a vertical line from the center of the front wheel's steering axis, to where the tire makes contact with the ground. Trail is measured in inches, and should always be a positive number. The importance of trail is often overlooked. Too much or too little makes a bike hard to control. Generally, average trail length on a motorcycle front end is between 3-1/2 to 6 inches. 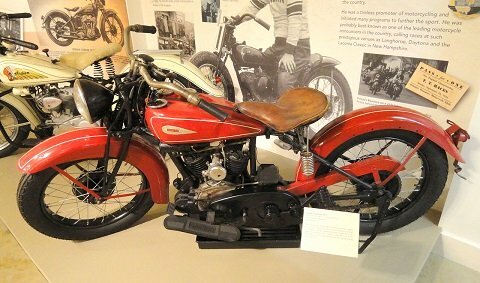 Girder front forks were used on motorcycles for many years. Pound for pound, they will deflect less than other types of front suspensions. Properly designed and constructed, they will handle as good, if not better, than any other motorcycle front end.